Rhodonite is believed to support detoxification and healing of the organs, especially the liver. Rhodonite is a good stone to help healing ailments of the heart, lungs, and nervous system, and is also used to reduce swelling and inflammation. 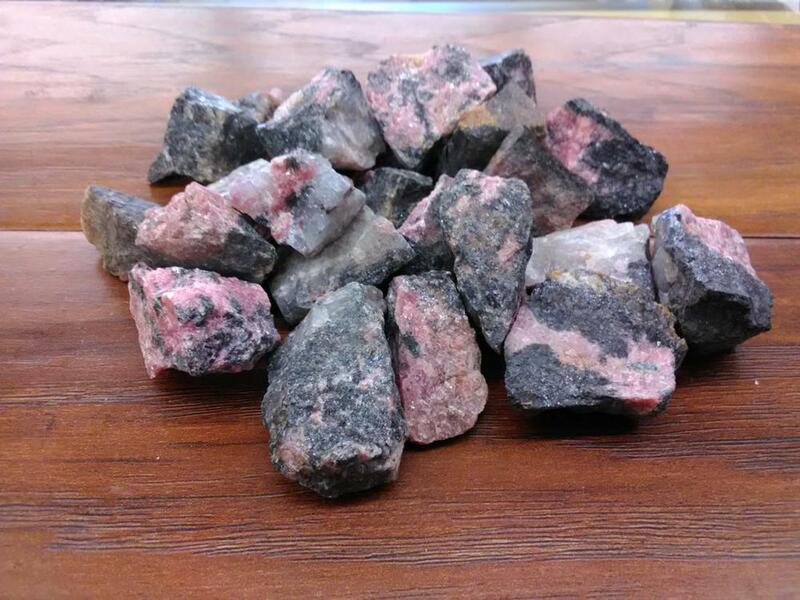 Tumbled Rhodonite can also be used to stimulate the metabolism. Use Rhodonite when feeling panicked and/or anxious.Rhodonite helps to balance the emotions and calm impatience. Rhodonite is a very supportive stone that works with the Heart Chakra to attract love and ground negative energies. Rhodonite allows one to see areas in their life that can be improved on without getting down on, criticizing or judging oneself.